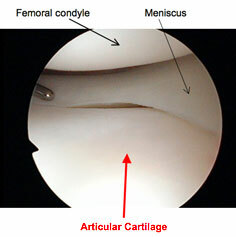 The articular cartilage has a specialized function to resist compression. It has no blood supply, no lymphatic drainage and no nerve supply. This means that the articular cartilage’s individual cells and their surrounding tissue also do not have any blood supply. Therefore, they will not be able to respond to any injury unless the underlying subchondral bone is penetrated. If there is only partial thickness injury to the articular cartilage (where the injury does not penetrate to the subchondral bone) there will be no response to the injury. On the other hand, if there is a full thickness injury, which penetrates into the subchondral bone, the injury will trigger the bone marrow stem cells to initiate a process of cartilage repair. Symptoms of pain, swelling and the occasional giving way of the knee joint, may suggest damage to the articular cartilage. Progressive degeneration of the articular cartilage will eventually result in the development of osteoarthritis. These types of injuries are more likely to occur in sporting individuals. If there are areas of chondral injury, it will be detrimental to the joint and affect the performance of the individual. Multiple areas of chondral injuries may also occur such as knee instability due to an Anterior Cruciate Ligament deficient knee. In chondral injuries to the knee joint, non-surgical treatment which includes physiotherapy and medication, do not allow healing to the cartilage defects. On the other hand, current established surgical options are not entirely satisfactory. However, there are a few existing surgical procedures which can help. This implantation involves two surgical procedures. The first is arthroscopic harvesting: a minimally invasive surgery to harvest normal looking cartilage from the patient. 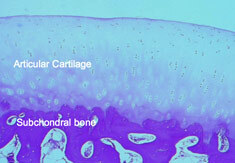 This cartilage will then be sent to the lab for growing of individual chondrocytes. Once the chondrocytes have multiplied, an open surgery is performed to facilitate implantation. The process of culturing chondrocytes is expensive and will cost approximately RM25,000. This does not include the cost of the arthroscopic harvesting and the second open surgery. Another surgical option in treating articular cartilage injury is osteochondral autogenous transfer which usually requires an open procedure for harvesting normal cartilage and transplanting a cylinder of bone to cartilage defect areas. A simpler and more attractive option involves subchondral drillings into damaged areas, which will allow the formation of a messenchymal blood clot to resurface the cartilage defect. Unfortunately the repaired tissue is mainly fibrous cartilage in nature and not hyaline cartilage, which is the preferred and original cartilage. Recent studies initiated by doctors from Kuala Lumpur Sports Medicine Centre (KLSMC), the orthopaedic department of University Putra Malaysia and veterinary hospital showed that it was possible to regenerate a better cartilage by injecting a combination of bone marrow stem cells and hyaluronic acid into the defective areas following subchondral drillings. A pilot study on clinical patients commenced in March 2007 at KLSMC, whereby cartilage defects seen during arthroscopic surgery were treated by subchondral drillings. The drillings into the bone marrow forms a blood clot scaffold. Post-operatively, the patient undergoes peripheral blood stem cells harvesting, and a week after surgery, a mixture of peripheral blood stem cells together with hyaluronic acid is injected into the affected joint weekly for a period of 5 weeks. A second look arthroscopic performed on patients showed evidence of hyaline cartilage regeneration. Regular MRI scans at intervals showed satisfactory healing of the chondral defects including the subchondral bone. This newfound innovative procedure allows the subchondral drillings to be applied to both isolated and multiple areas of chondral defects. Best of all, no second surgery or open surgery is required as in the case of autologus chondrocyte implantation. In addition to regenerating articular cartilage, stem cells can be employed for other applications in orthopaedic surgery such as diabetic foot ulceration, injuries to the tendons and ligaments, fractures and areas of the bone loss or experiencing delayed union. Stem cell therapy can also be extended to nerves and muscles injuries. 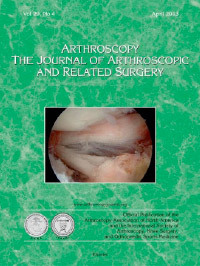 Arthroscopy: The Journal of Arthroscopic and Related Surgery, Vol 29, No 4 (April), 2013: pp 684-694. By Khay-Yong Saw, Adam Anz, Caroline Siew-Yoke Jee, Shahrin Merican, Reza Ching-Soong Ng, Roohi S. Ahmad, Kunaseegaran Ragavanaidu. 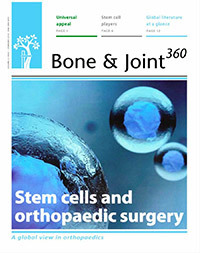 Bone & Joint 360, Vol 2, Issue 1 (February), 2013: pp 6-11. By K-Y.Saw, C.S-Y.Jee. Modern athletes are constantly susceptible to performance-threatening injury as they push their bodies to greater limits and endure higher physical stresses. Loss of performance and training time can adversely and permanently affect a sportsperson’s career. Now more than ever with advancing medical technology the answer may lie in biologic therapy. We have been using peripheral blood stem cells (PBSC) clinically and have been able to demonstrate that stem cells differentiate into target cells to enable regenerative repair. The potential of this technique as a regenerative agent can be seen in three broad applications: 1) articular cartilage, 2) bone and 3) soft tissue. This article highlights the successful cases, among many, in all three of these applications. 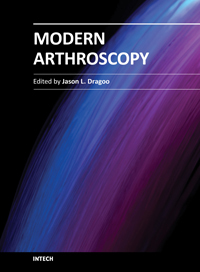 Modern Arthroscopy, Intech, (December), 2011, Chapter 7: pp 129-178. By Khay-Yong Saw, Adam Anz, Kathryne Stabile, Caroline SY Jee, Shahrin Merican, Yong-Guan Tay, Kunaseegaran Ragavanaidu. Cartilage defects continue to be a clinical challenge as regards to articular cartilage regeneration. 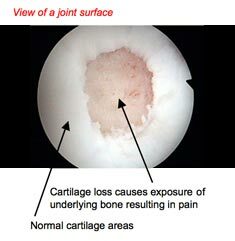 The structure and function of articular cartilage leads to non-healing lesions after injury occurs. Well-established arthroscopic methods utilize controlled healing with marrow stimulation or transferring of non-injured cartilage to areas of injury. These include: microfracture, chondral drilling, osteochondral autograft transfer system, ostechondral allograft transplant, and autologous chondrocyte implantation. However, more often than not the treatments result in the formation of fibrocartilage and similar results within all methods with no clear superior modality (Jakobsen et al, 2005; Lubowitz et al, 2007; Magnussen et al, 2008; Nakamura et al, 2009). Recent study has investigated synthetic and biologic adjuncts to current methodology, including the use of: hyaluronic acid (HA), platelet rich plasma, mesenchymal stem cells (MSC) and peripheral blood progenitor cells (PBPC). Cell therapy has produced exciting results in animal models and has been shown to regenerate hyaline cartilage clinically in the knee joint. 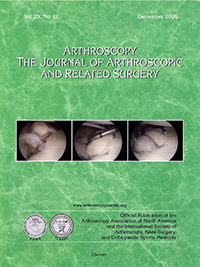 Our current method utilizes arthroscopic subchondral drilling of cartilage lesions in combination with a postoperative adjunct treatment involving: stimulation of the release of PBPC with filgrastim, harvest of PBPC with apheresis, and postoperative intraarticular injection of PBPC in combination with HA. Our early results lead us to the conclusion that cell therapy will have an integral part in the future treatment of cartilage damage as well as other potential orthopedic, surgical, and medical applications. 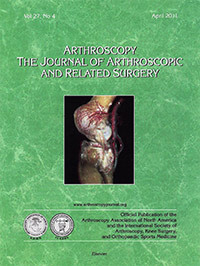 Arthroscopy: The Journal of Arthroscopic and Related Surgery, Vol 27, No 4 (April), 2011: pp 493-506. By Khay-Yong Saw, Adam Anz, Shahrin Merican, Yong-Guan Tay, Kunaseegaran Ragavanaidu, Caroline Jee, David A. Mcguire. The purpose of this study was to evaluate the quality of articular cartilage regeneration after arthroscopic subchondral drilling followed by postoperative intraarticular injections of autologous peripheral blood progenitor cells (PBPCs) in combination with hyaluronic acid (HA). Five patients underwent second-look arthroscopy with chondral core biopsy. These 5 patients are part of a larger pilot study in which 180 patients with International Cartilage Repair Society grade III and IV lesions of the knee joint underwent arthroscopic subchondral drilling followed by postoperative intra-articular injections. Continuous passive motion was used on the operated knee 2 hours per day for 4 weeks. Partial weight bearing was observed for the first 6 to 8 weeks. Autologous PBPCs were harvested 1 week after surgery. One week after surgery, 8 mL of the harvested PBPCs in combination with 2 mL of HA was injected intra-articularly into the operated knee. The remaining PBPCs were divided into vials and cryopreserved. A total of 5 weekly intra-articular injections were given. Second-look arthroscopy confirmed articular cartilage regeneration, and histologic sections showed features of hyaline cartilage. Apart from the minimal discomfort of PBPC harvesting and localized pain associated with the intra-articular injections, there were no other notable adverse reactions. Articular hyaline cartilage regeneration is possible with arthroscopic subchondral drilling followed by postoperative intraarticular injections of autologous PBPCs in combination with HA. Arthroscopy: The Journal of Arthroscopic and Related Surgery, Vol 25, No 12 (December), 2009: pp 1391-1400. By Khay-Yong Saw, Paisal Hussin, Seng-Cheong Loke, Mohd Azam, Hui-Cheng Chen, Yong-Guan Tay, Sharon Low, Keng-Ling Wallin & Kunaseegaran. The purpose of the study was to determine whether postoperative intra-articular injections of autologous marrow aspirate (MA) and hyaluronic acid (HA) after subchondral drilling resulted in better cartilage repair as assessed histologically by Gill scoring. In a goat model we created a 4-mm full-thickness articular cartilage defect in the stifle joint (equivalent to 1.6 cm in the human knee) and conducted subchondral drilling. The animals were divided into 3 groups: group A (control), no injections; group B (HA), weekly injection of 1 mL of sodium hyaluronate for 3 weeks; and group C (HA + MA), similar to group B but with 2 mL of autologous MA in addition to HA. MA was obtained by bone marrow aspiration, centrifuged, and divided into aliquots for cryopreservation. Fifteen animals were equally divided between the groups and sacrificed 24 weeks after surgery, when the joint was harvested, examined macroscopically and histologically. Of the 15 animals, 2 from group A had died of non–surgery-related complications and 1 from group C was excluded because of a joint infection. In group A the repair constituted mainly scar tissue, whereas in group B there was less scar tissue, with small amounts of proteoglycan and type II collagen at the osteochondral junction. In contrast, repair cartilage from group C animals showed almost complete coverage of the defect with evidence of hyaline cartilage regeneration. Histology assessed by Gill scoring was significantly better in group C with 1-way analysis of variance yielding an F statistic of 10.611 with a P value of .004, which was highly significant. Postoperative intra-articular injections of autologous MA in combination with HA after subchondral drilling resulted in better cartilage repair as assessed histologically by Gill scoring in a goat model. After arthroscopic subchondral drilling, this novel technique may result in better articular cartilage regeneration.